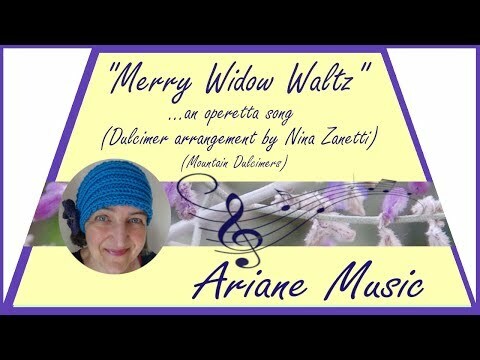 "Merry Widow Waltz" is a song from the same titled-operetta from the Austro-Hungarian composer Franz Lehár and had its premier in Vienna in 1905. I recorded this well known melody on the basis of the arrangement of Nina Zanetti and Beth Lassi from their beautiful book "Tunes for Two or More", Volume 3. I would like to share with you how different patterns of a harmony accompaniment can change the character of a tune. 5. rd: all harmony accompaniments together added to the melody letting go one voice after the other til the end. Danke Dir sehr, lieber Martin! Thank you very much, Jim! you do it very nice... the lyrics are nice too. Thank you very much, Kjb, for your kind comment! Thank you for posting. Nice tune. Well played and I love the different accompaniments. Thank you very much, Steven - what a lovely comment! Nice playing, Ariane. And a very helpful demonstration of different ways to accompany the melody. I remember this song from an old film. I saw it as a kid and don't remember anything about the plot, but the song has stayed with me! Really nice, Ariane! Franz would be quite proud!